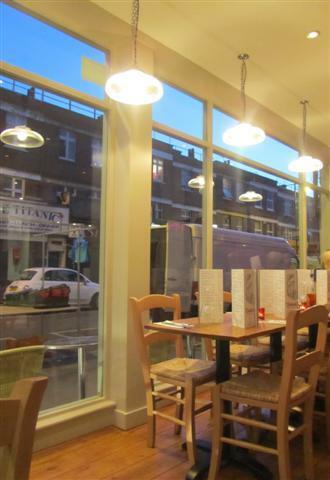 The restaurant area is made up of beige chairs and wooden tables and has an open kitchen with the pizza oven in full view. 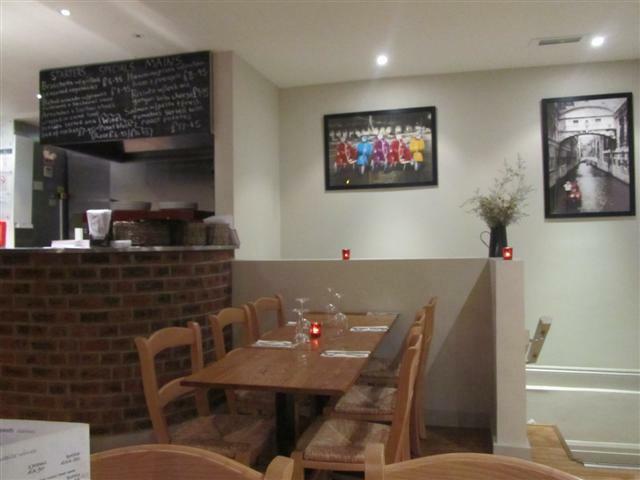 The red brick walls give it a rustic feel but it also feels really modern with the funky framed pictures. 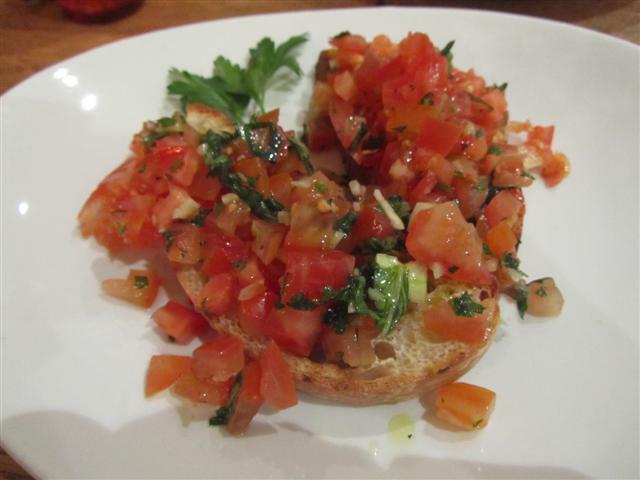 The Bruschetta Tradizionale was two thin slices of toasted bread, topped with plenty of plenty of chopped tomatoes. The Calamari Fritti starter was great. You could tell that the calamari was fresh as it was not at all chewy or rubbery. The deep fried calamari was served with some salad and a tangy tartare sauce. The pizza menu was quite quirky. 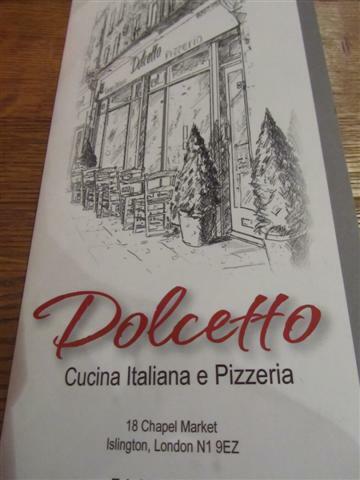 Some of the pizzas had been named after cars, such as Ferrari F40 and Lamborghini Gallardo. We went for something less adventurous and had the Pizza Vegetariana. We weren’t sure which vegetables to expect as the menu only said seasoned vegetables. 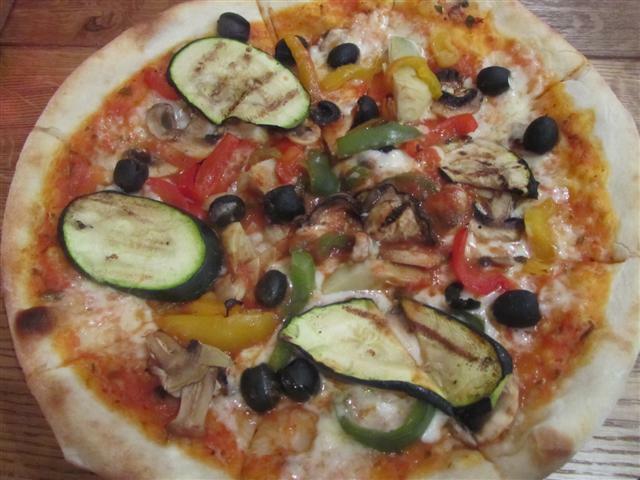 This vegetarian pizza had a crisp base and was topped with big slices of courgettes, peppers, olives and mushrooms. It was nice that the pizza came already sliced, which made it a lot easier to eat. My favourite dish had to be the Risotto ai Porcini. It had a wonderful rich flavour to it. 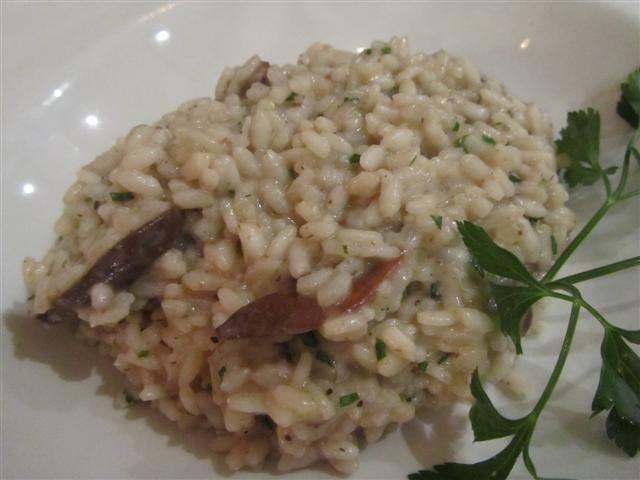 Lots of sliced mushrooms together with the creamy rice made it a hearty dish. 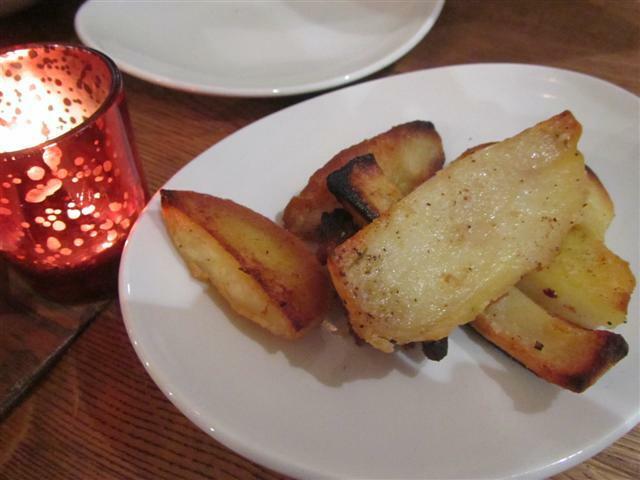 A really great side dish was the roast potatoes. These were absolutely perfect: crispy on the outside and soft and fluffy on the inside. They were definitely very moreish. 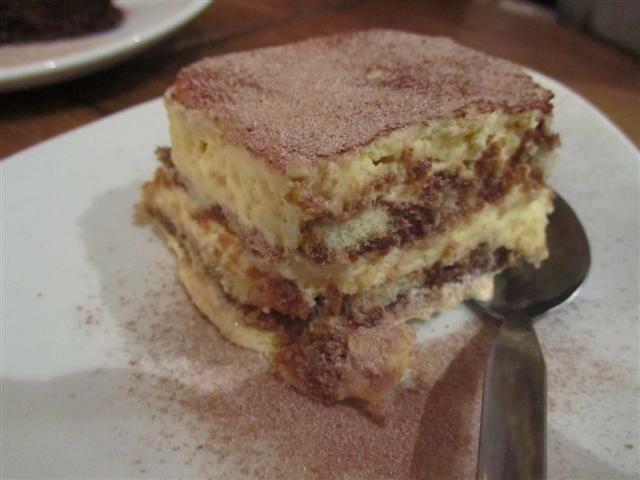 The tiramisu was lovely and creamy and just what you’d expect from such a dessert. Layers of cream sandwiched between the sponge layers. 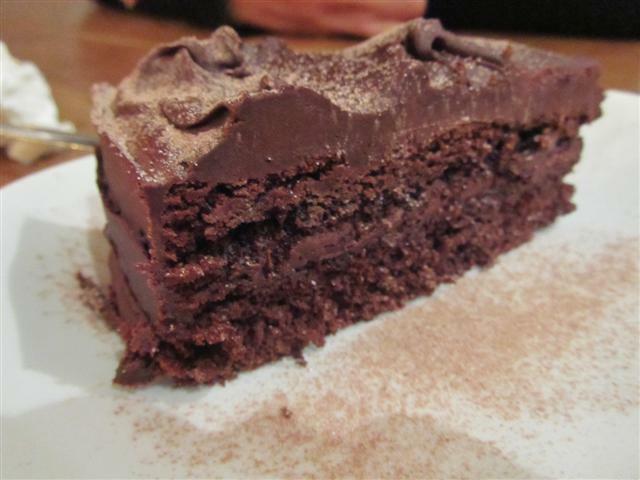 The chocolate fudge cake was a big portion and had a dense texture.